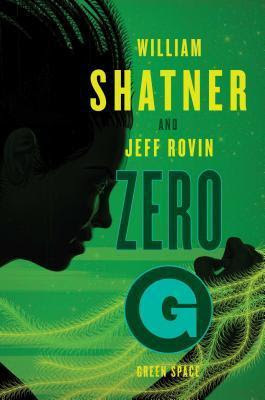 Summary from Goodreads: In the second installment of William Shatner s Zero-G series, Director Samuel Lord must identify a mole sabotaging the top-secret NASA project aboard the US space station Empyrean, while also fighting a fast-replicating virus that threatens humanity. In the year 2050, the United States sends the FBI to govern its space station, The Empyrean. Under the command of suave, eighty-year-old director Samuel Lord, the Zero-G men are in charge of investigating terrorism, crime, corruption, and espionage, keeping an eye on the rival Chinese and Russian stations as well. Lord and his team are assisting NASA in conducting a top-secret project in the agricultural center of the Empyrean. Using microscopic robots called nanites, they plan to construct a vine that can survive in space. The vine will grow structural material for an elevator that will reach from the Empyrean to Earth. Unfortunately, a Russian spy inadvertently causes the growth to rage out of control, not only threatening the Empyrean, but the Russian space station Red Giant. Under the guidance of Director Samuel Lord, Zero-G must not only identify the spy, but help find a way to stop the fast-replicating vine and a form of space zombie birthed by the nanites. The surprising solution takes Lord and a Russian pilot on a dangerous mission to Venus where a shocking discovery awaits." Review: Wow! This book is jam packed full of science jargon and situations. I was a little lost in the beginning and I think that had something to do with my lack of world knowledge. I should have probably read the first book. With that being said, the story was interesting and unique. The story line moved along at a quick pace and the characters were well written and had depth. This was a good scifi read and I think I'll go back and read the first book.